The Commonwealth Conference in Singapore has ended with a compromise over the wording of the Declaration of Commonwealth principles. Talks centred around Britain's proposal to sell arms to South Africa, despite a voluntary United Nations embargo on arms sales. Other African nations are also opposed to the idea. The original draft of principles, submitted by Zambia, was seen as an attempt to put Britain under a moral obligation not to go ahead with the deal. It would have bound members to give no assistance to nations practising racial discrimination. But the final draft, agreed by all 31 members, simply condemns racial discrimination and follows the British prime minister's view that Commonwealth nations should be responsible for their own policies. 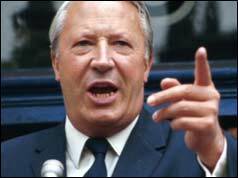 "When we already have a maxi United Nations, I see no point in establishing a mini United Nations," said Edward Heath, British prime minister. The declaration states countries are allowed to deal with discriminatory nations if, in their own judgement, they believe their help is not aiding racial discrimination. However, despite signing the declaration, President Kaunda of Zambia said: "We have some power to retaliate against any power which sells arms to South Africa". "It is the beginning of a long fight," he added. African nations are against the sale as they feel it strengthens the country and its apartheid policies. It was feared the issue could cause the break up of the Commonwealth Association with Britain gaining support from Australia and Canada. But it is believed the prime minister of Canada, Pierre Trudeau, was instrumental in persuading the African nations to agree to the rewritten declaration and so saved the Commonwealth conference from collapse. Britain is expected to sell ships and naval equipment to South Africa to help them protect the route through the Cape of Good Hope against an influx of Soviet naval activity nearby. In the end the South African government did not make any significant orders for arms. In 1977 the UN Security Council upgraded their stance to a mandatory arms embargo against South Africa. The UN arms embargo was lifted in May 1994, shortly after Nelson Mandela became South Africa's first black president.